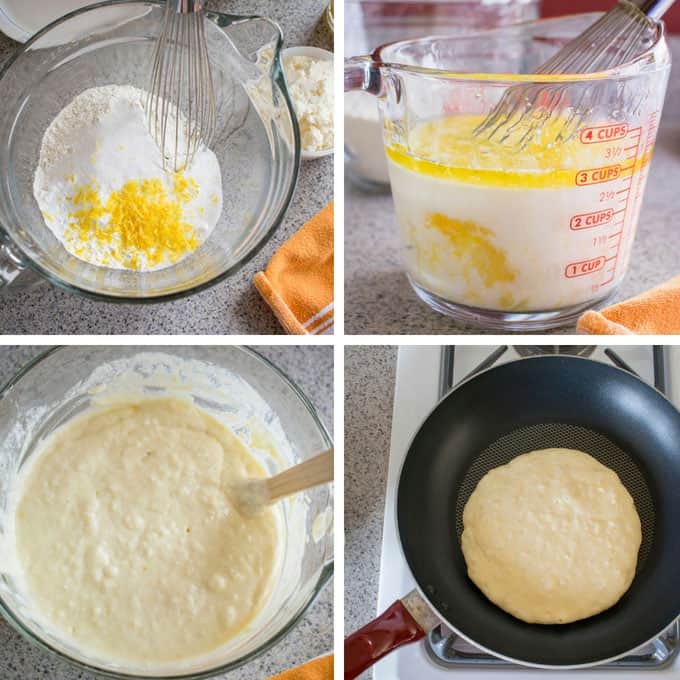 You have to try these Lemon Ricotta Pancakes! They’ve got fabulous flavor, and the texture is out of this world! With olive oil, lemon zest, lemon extract and just enough sugar. 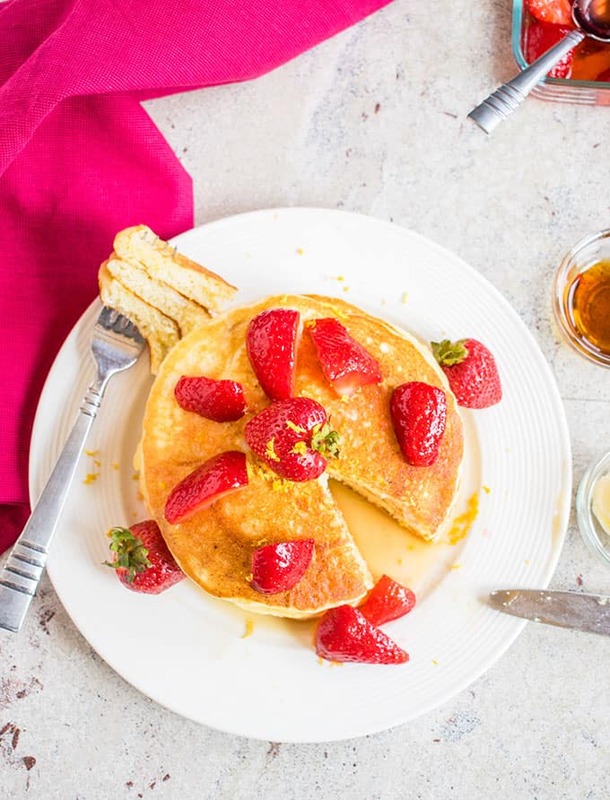 If there’s one recipe you try from my blog this year, let it be these lemon ricotta pancakes. They’re thick, pillowy soft and incredibly moist. The lemon flavor is ever present but not overbearing. The browned outsides, juxtaposed with the tender, melt-in-your-mouth insides, will make you swoon. And they’re just sweet enough. It’s as if cake and pancakes had a love child. You can enjoy these pancakes with butter and maple syrup. So good! But, if you want to experience sheer ecstasy, I urge you to top them with these Italian Strawberries with Lemon and Sugar instead. I’ve never been so excited to share a dish with you. And that says a lot, because I’m kind of passionate about food. In case you haven’t noticed. I’ll even go out on a limb and say these are the best lemon ricotta pancakes. The olive oil adds moisture and enhances the cake-like texture. The lemon extract (affiliate link), along with zest and the right amount of salt, makes the lemon flavor pop. 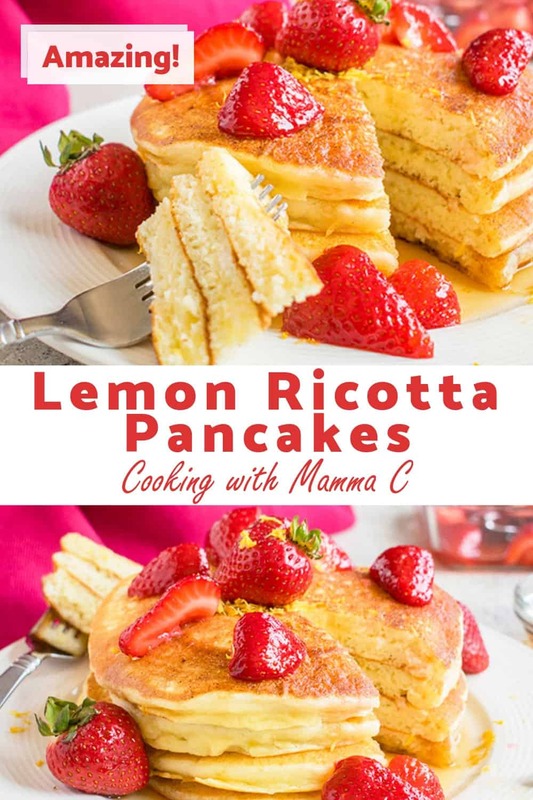 I skipped the buttermilk or lemon juice found in many lemon ricotta pancake recipes, because they produce a sour taste. Instead, my lemon ricotta pancakes get their fluffiness from the ricotta and four teaspoons of baking powder. So, there’s no need to overload the batter with sugar. Three tablespoons are plenty in this large quantity of pancakes. I know I’ve been on a lemon kick lately (#sorrynotsorry #cantstopwontstop). I kicked off spring with this Lemonade Moonshine and then shared our favorite Lemon Lush from Scratch. But, I’ve said it before and will say it again. 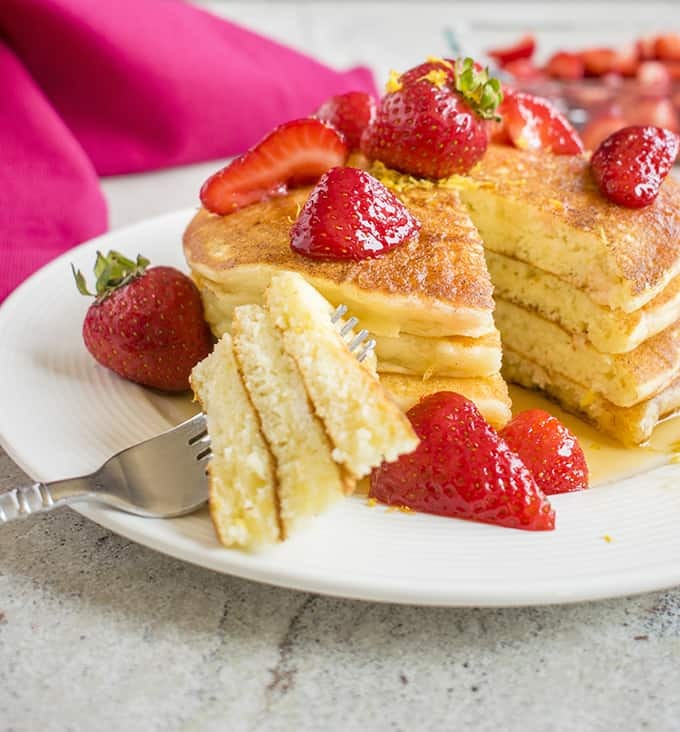 Friends, please add the ingredients for these lemon ricotta pancakes to your grocery list. You can make them for Sunday breakfast or a fabulous brunch. And don’t forget the strawberries! P.S. 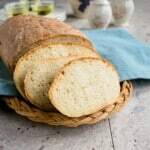 If you try this recipe, please rate it and leave a comment! 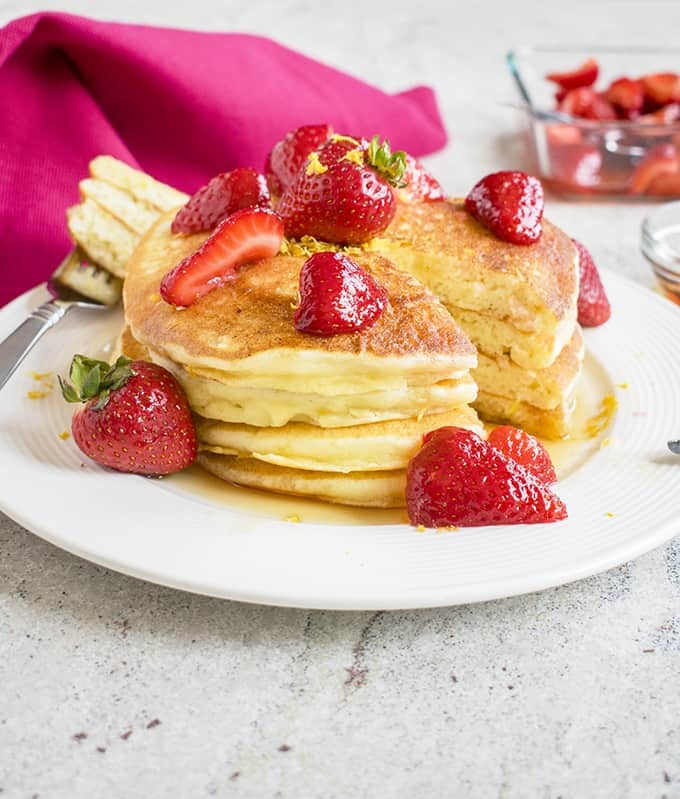 You have to try these Lemon Ricotta Pancakes! 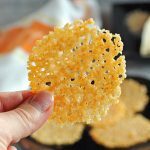 They’ve got fabulous flavor, and the texture is out of this world! Rinse two lemons and pat them dry. 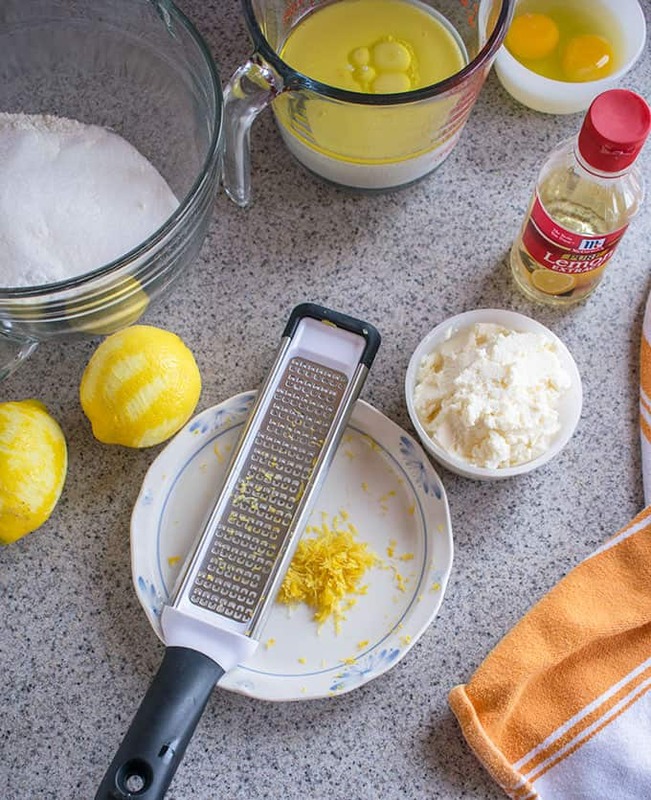 Zest the lemons until you have 2 teaspoons of zest. Add the zest to a large mixing bowl. Add the flour, sugar, baking powder and salt to the bowl. Whisk the dry ingredients to combine. 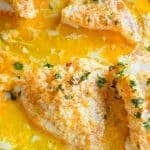 In a small bowl (or an extra-large liquid measuring cup), add your milk, olive oil, eggs and lemon extract. Whisk to combine, making sure the eggs are beaten. Whisk the ricotta into the liquid ingredients until combined. Pour the wet ingredients into the dry ingredients in your large bowl. Fold the liquid into the dry ingredients with a wooden spoon, just until the batter is combined, making sure to scrape along the bottom of the bowl to mix in the flour. The batter will be very thick. Flip the pancake and cook the second side for three minutes, or until the bottom is golden brown. Use a silicone spatula to transfer the pancake to a serving plate. Grease the pan again, and continue making more pancakes as needed. Serve them with butter and maple syrup or enjoy them with Italian Strawberries with Sugar and Lemon. Store leftover batter in a sealed container in the refrigerator for up to two days. You also can cook the extra batter to use it up and freeze the pancakes in a freezer bag. This looks so delicious!! I’m always down for pancakes! Thanks, Monique! These make a great weekend breakfast. These are the perfect pancakes for summer! The lemon and creamy ricotta then topped with lots of syrup, delicious. Perfect for summer and all year too, Lol! Thanks, Sharon. The lemon and the ricotta both sound fantastic in these pancakes. What a decadent brunch! For sure, but it’s worth it! Thanks, Jenni! wow your pancakes look SUPER fluffy and soft! 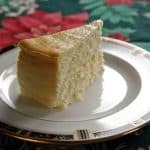 I love lemony cake anything! I will be asking this to be made as a treat for me for breakfast! pwahaha! Yes, you must! Thanks, Joyce! These look so fluffy and delish! 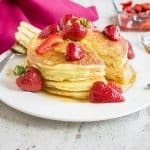 I’ve never had ricotta pancakes, but now I’ve got to try these! They’re incredible and a real treat! 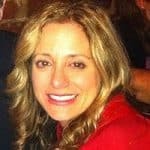 I hope you try them, Britt! Oh my gosh!! I just bought two containers of ricotta to make a pasta recipe, but I’m going to make these pancakes instead! They sound so good!